For the third time in a row, I’m back with OMY x Canon Pixma as one of the 10 craft gurus! And this time the theme is “We Are Family”! 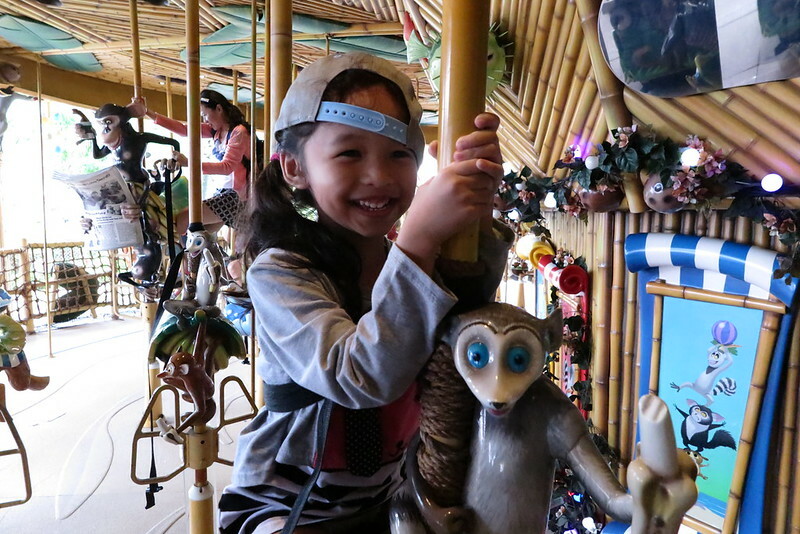 Super excited to catch up with fellow Mummies – Angeline, Ting, Irene, Winnie, Waiwai and meet up with new Mummy friends at the coming workshop on 31 May 2014 at Hotel InterContinental! As we countdown to a fun day of crafting with our family and friends, we are sharing our experiences and ideas with Canon Pixma printers. Well, I have been using mine for more than a year, and it has been a very useful and convenient gadget for all household, especially family like mine, whom snap too many photos every day! It is my personal practice and routine to have the best shots printed out every few months so that if ever *touch-wood* my external hard disk breaks down, I’ll still have these precious memories stored in physical copies. 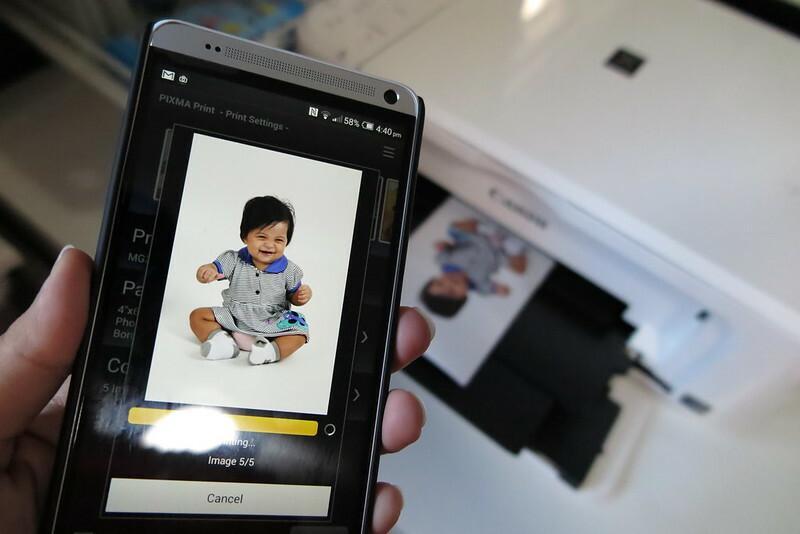 With wireless printing feature it is really super easy to print print print! 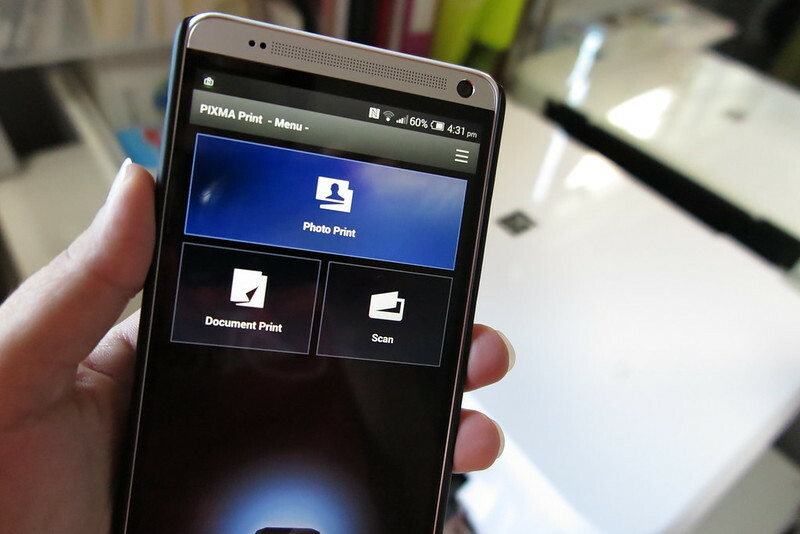 If you have never tried the PIXMA print app yet, here’s a step-by-step guide to help you get acquainted with it. I will also be sharing my personal tips and tricks to getting organised with your photos! 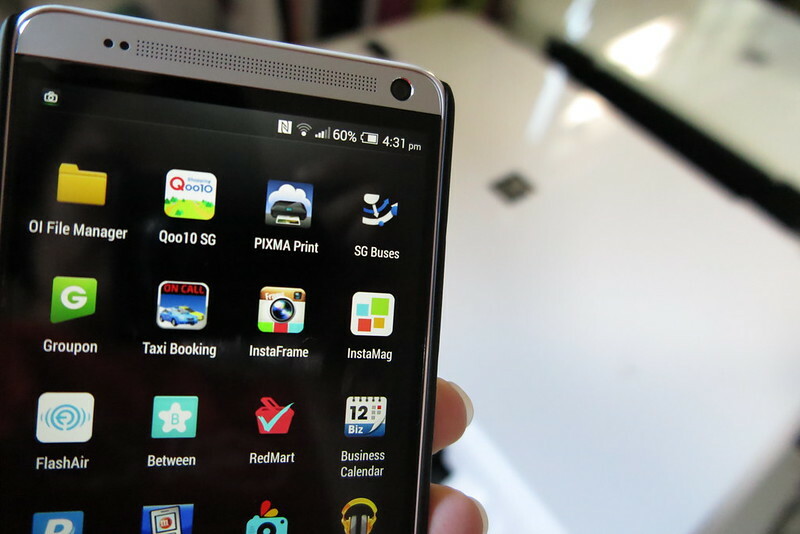 The PIXMA Print application is available for download on iTunes and Android Play stores for FREE of course! 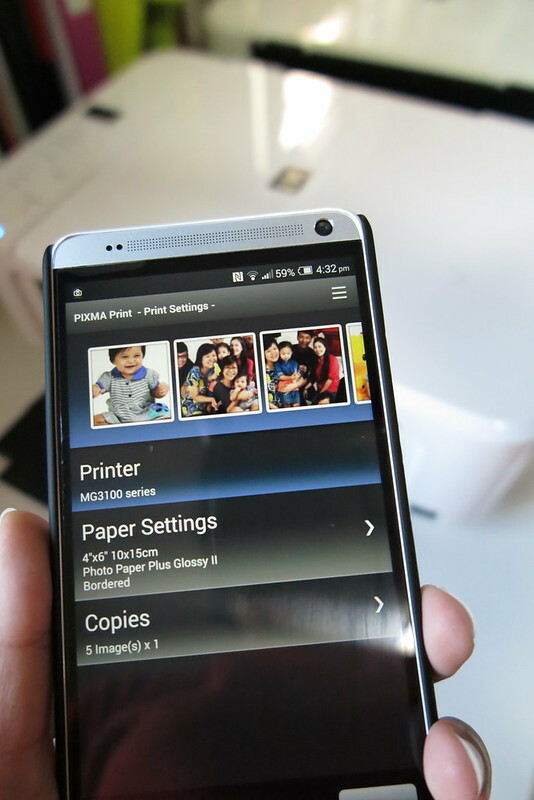 With the app, you can print and scan wirelessly with your compatible Canon Pixma printers. 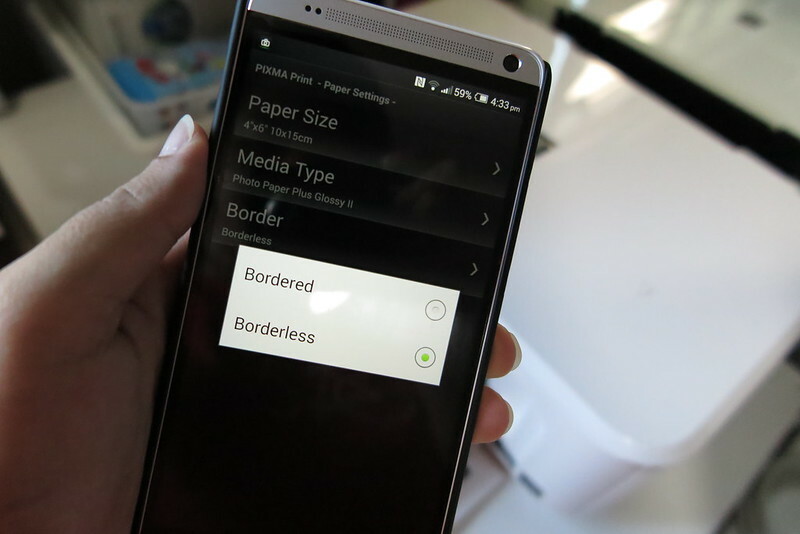 For the new models of Pixma printers, you can also use the Pixma Cloud Link print feature to print from anywhere around the world as long as your printer is on and connected to the internet, and you’ll also be able to print documents and files from Facebook, Flickr, Dropbox and Evernote. The model I have at home does not support this new feature though, perhaps its time to upgrade! To a A3 printer perhaps! From the Photo Print selection, the app will load all your photos in your phone default storage. 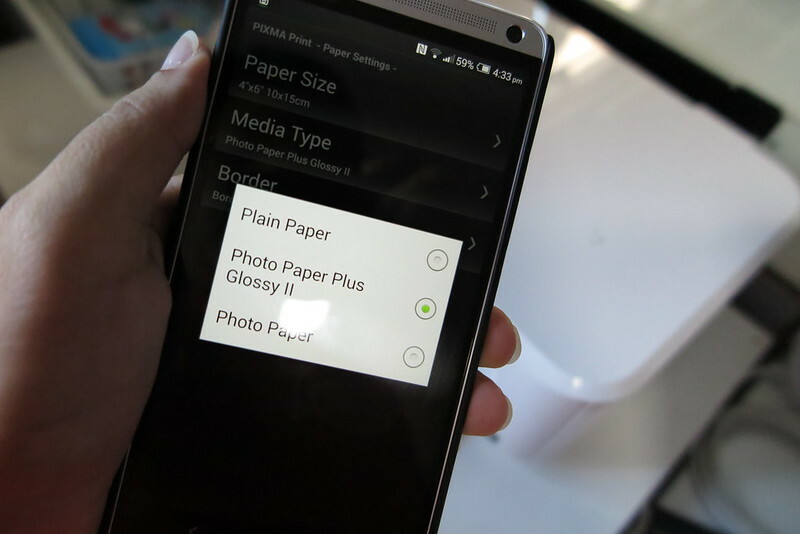 And from here, you can tap to select multiple photos you want to print. 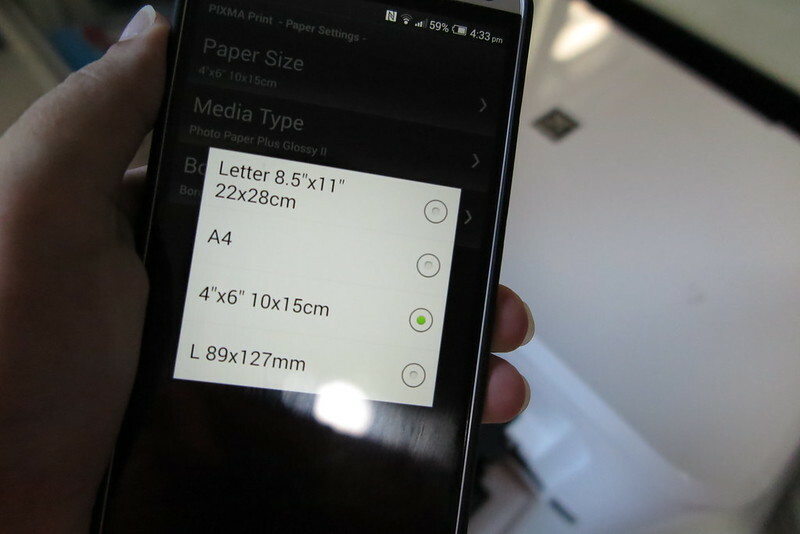 After selection, you will then be able to set the printer to print from (in case you have more than one printer in your network), you will also set your print paper size and number of copies per image. Easy peasy! And from the paper setting, you can also select the type of paper and whether or not you want a border around your print out. My personal preference for all my photo print with the Canon Pixma, is to go with Canon Original Photo paper in either Glossy Plus or Premium Semi-Glossy. If you need reference for their packaging, refer to my previous post here. Once all your setting is done, just go ahead and tap on print! Then watch as your beautiful digital photos get printed out. When photo printing is made so easy, walls around your house will never be dull and empty anymore! Create a unique Family Photo Wall! Setting up your own photo gallery is quick and easy. With the right tricks, you’ll be able to swap the photos out easily too over time. Here are some useful tips from me to you for decorating your walls with nice family photos. 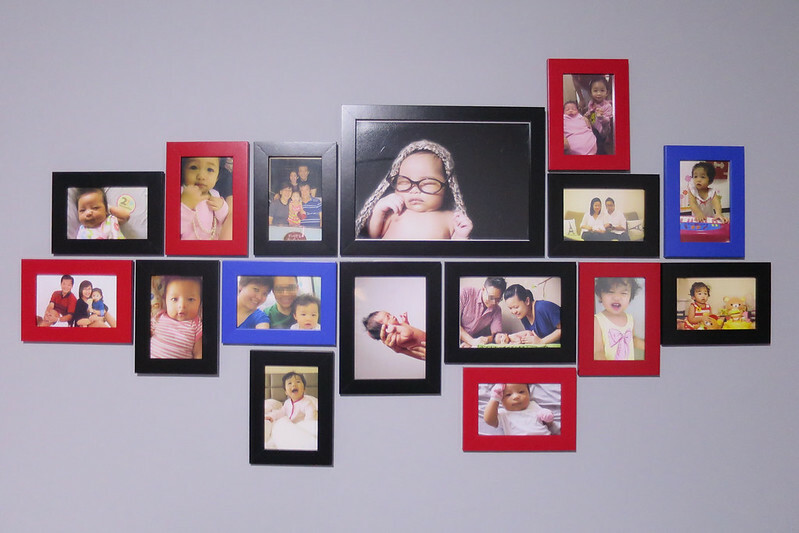 Tips #1 – Print photos in variety of sizes to spice up a photo wall. Tips #2 – Use frames of matching colors and attach them to the wall with 3M Command Picture Hanging Strips. You can remove the frame without damaging the strips and will be able to reuse it after replacing your photos. Tips #3 – When in need of fresh inspiration for display of photos around your home, try Pinterest. Tips #4 – Keep adding to the wall! Though I can easily swap the photos out from the frame, but I prefer to just keep growing my photo wall! My kids’ playroom and our study room each have a photo wall that I hope to fill up over the years. Hope these tips will be useful! Ending this post with few more tips on how I organise my photos and ensuring that they will never be lost. I snap photos primarily on my mobile phone and either of my 3 digital cameras. All my photos from my phone is backed up automatically daily to a cloud-link external hard disk drive at home. Or you can do so with Dropbox or Flickr, set it so that whenever you have your phone connected to a wireless connection, the phone automatically backs up your latest photos. For photos taken with my digital cameras, they are never deleted from the SD cards. This is my first and original copy backup. Yes, I do have a lot of SD cards stored in a dry box with month and year labelled on it. Besides the SD card backup, I also copy all my photos (from phone and cameras) into a external HDD connected to my computer at home. This is my second copy of backup. These are categoried in monthly folders. Lastly, my final backup is up into my flickr account. I used to do monthly uploads of all my photos into flickr as private (so only I can view them), but lately I only upload the better ones few times a month. FINALLY, I print out those photos I love on my Canon Pixma or Canon Selphy printers. These are stored in a Muji box according to the month and date they are taken. 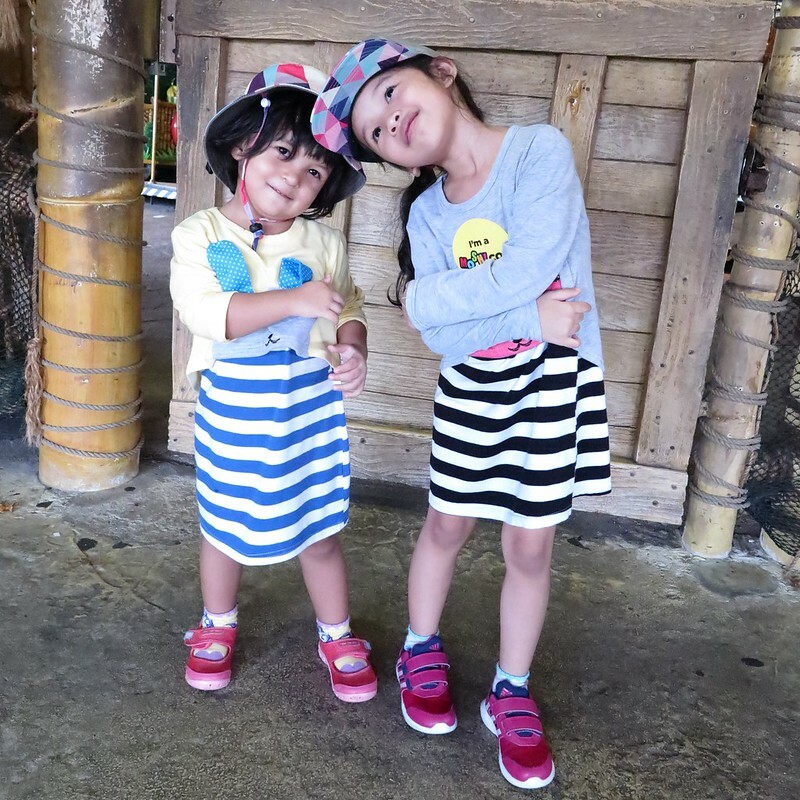 On days when I see good Groupon deals for photo books, I will buy them and compile yearly photo books for my girls. This they can flip through when they grow up. That’s how I keep my photos and memories safe and forever. 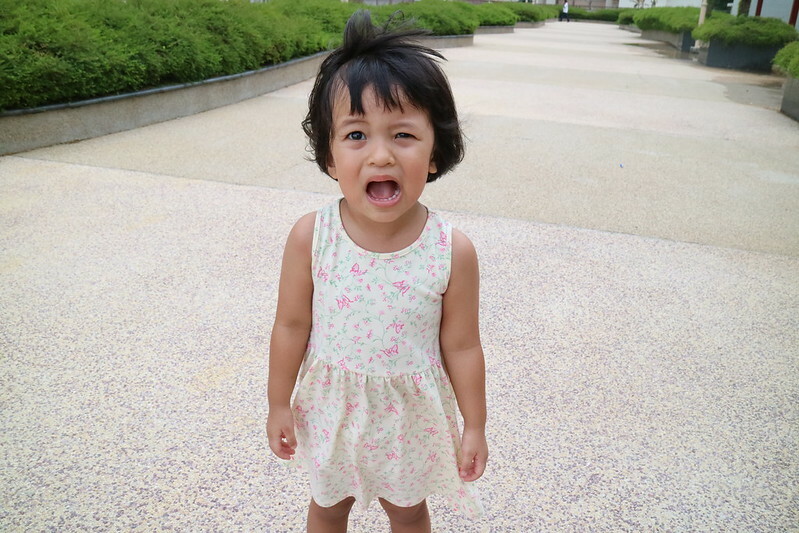 Kinda kiasu, but this is what happened when one has lost too many precious photos from years ago due to a bad HDD! So now you know my tedious but necessary steps, if you have got better ideas do share them with me! 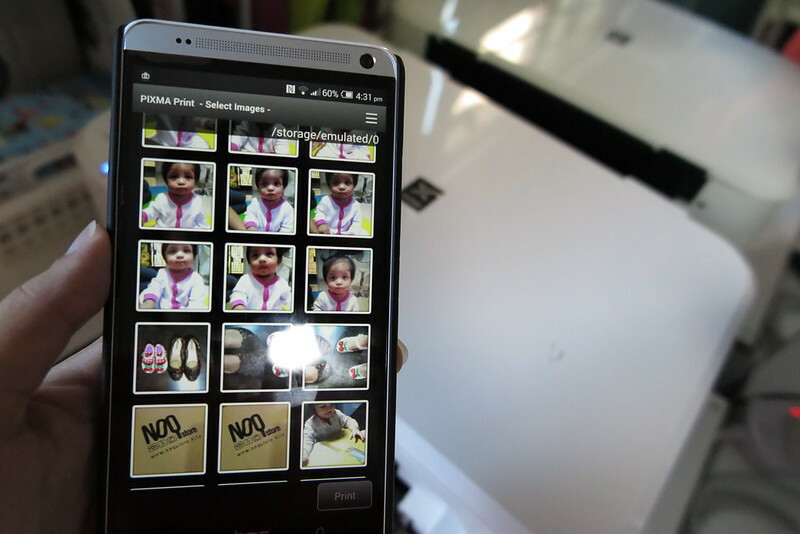 This post was also published on OMY x Canon Pixma blog. Previous Post The Loving Mum Family is Going for Garfield Run in Singapore!